Saturday, April 6 - Doors open at 5:30 p.m. and Dinner is served at 6:10 p.m. Donations received by March 29 will be recognized in the Show Playbill. 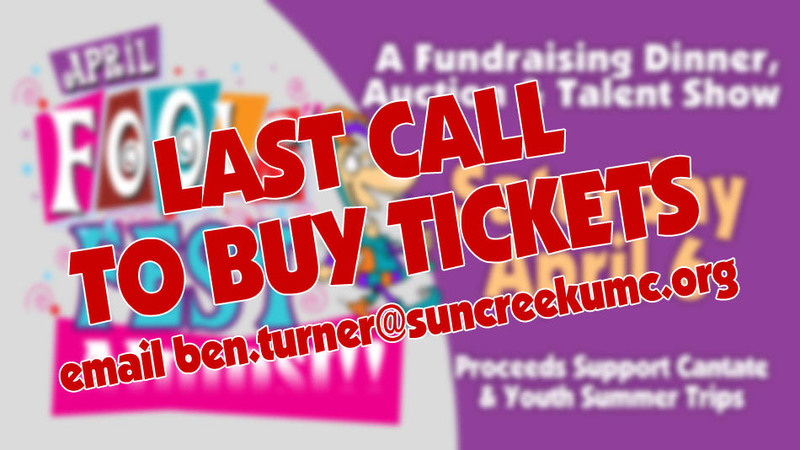 Contact Ben Turner at ben.turner@suncreekumc.org.